Abstract: You have certainly been told that it is good to draw pictures when thinking about math. We will show several examples that will convince you that visualization is amazingly powerful, both for understanding things as well as for discovering new things that we don’t understand. 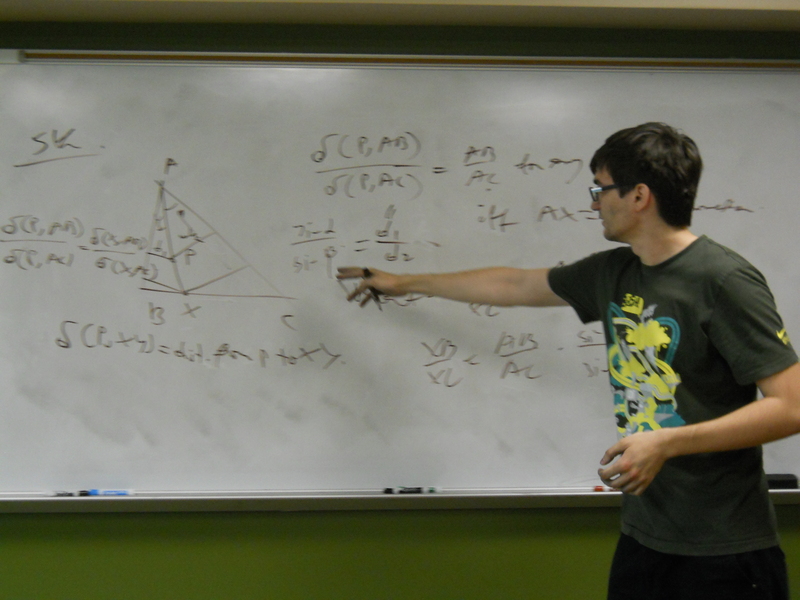 About our Speaker: Metroplex Math Circle is pleased to welcome Paul Zeitz, Mathematics Chair at the University of San Francisco, this Saturday. Mr. Zeitz has been involved with the world of competition mathematics as a competitor on the first American International Mathematics Olympiad (IMO) team, helped to train other competitors for the IMO, composed problems for the USAMO, founded the Bay Area Math Meet, and, recently, co-founded the Proof School, which is dedicated to students who have a love and passion for mathematics. He was honored with the Mathematical Association of America’s Haimo Award for Distinguished College or University Teaching of Mathematics in 2003. He is the author of The Art and Craft of Problem Solving, published in 1999, and in 2009 The Teaching Company produced a video course by the same name. Please join us for this next MMC lecture! In this talk, we’ll introduce the first moment method in probabilistic combinatorics and prove a few cute olympiad problems using it. We’ll also include a proof of a beautiful result due to Erdős and, if time permits, discuss some ongoing research that originated from it.